In this fast paced world, professionals need a platform that instantly connects them with other professionals. Here at UniversalHunt we bring together professionals and companies from all around the globe. Members can create a profile, send messages, and meet other professionals to explore career and business opportunities. Universalhunt.com is a global platform designed to bridge gap between talent and opportunities. Our members from various countries, industries, functions, nationalities and skill-sets can benefit from enhanced networking by sharing more information and opportunities with each other leading to overall efficient and benefited social group. 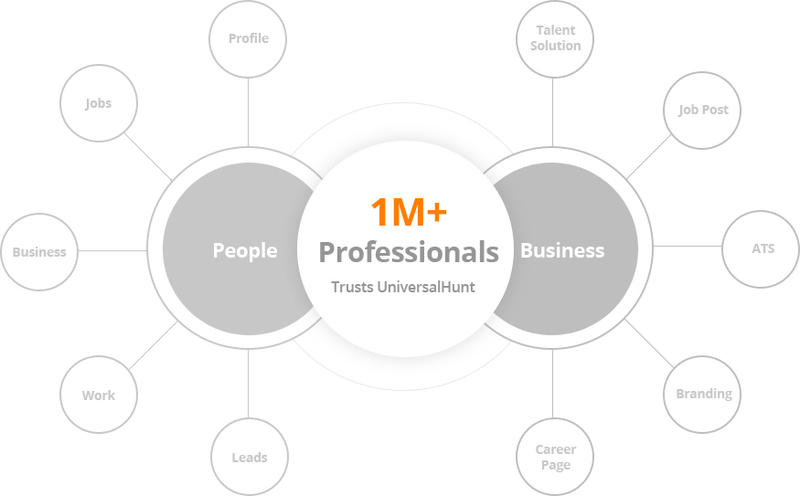 Universalhunt.com is an online venture of Universal Hunt group which aims to develop a complete eco-system of HR solutions through multiple brands and businesses. Universal Hunt Group had detailed understanding of talent market as a result of it's consulting and advisory business in the field of talent search with clientele in over 80 countries across all the industries. 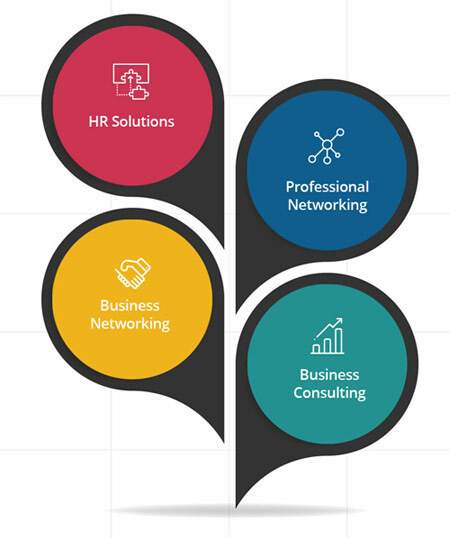 Our experience in the field of Permanent Placement / Recruitment Consulting / Contract staffing has given us a very close insight in to the opportunities available in various parts of the world which can be addressed by amazing talent available in different corners of the world but gets delayed due lack of available platform at global level and lack of knowledge about the same. We therefore wish to connect the global talent using this platform and expose them to opportunities available all over the world for the best benefit of members. This venture was initiated by a group of dynamic entrepreneurial minded professionals with simple aim to make talent search most efficient and economical. Our operations are carried out from India and we wish to also initiate centres in each country which will also supplement online activity with solid offline support making entire process eventually seamless and help members in handholding and simplifying the process of opportunity benefaction.